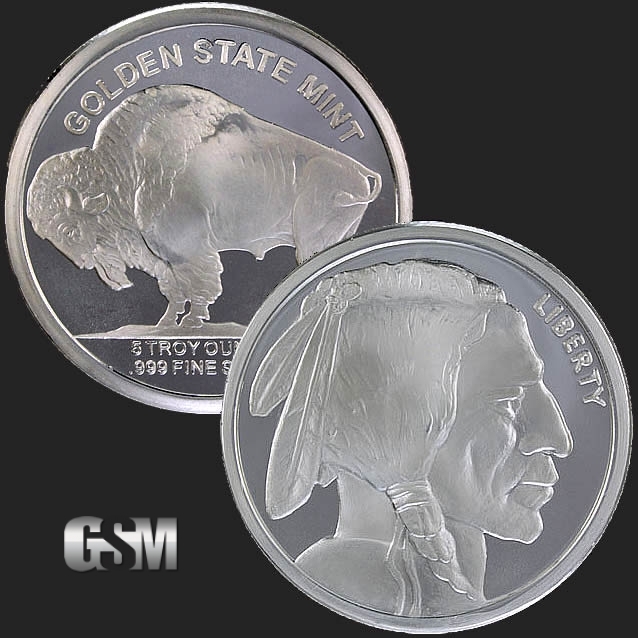 Golden State Mint's 5 oz Buffalo Rounds are brand new, non-circulated silver rounds with a rendition of James Earle Fraser's classic design of the Buffalo Nickel issued in 1913. 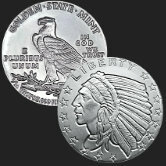 Generally, Fraser's Indian Head nickel design is regarded as amongst the best designs of any U.S. coins. 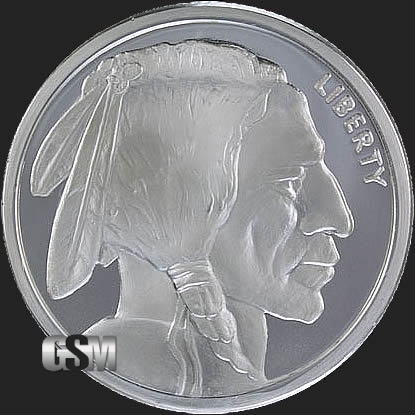 The obverse (front) of the round depicts a Native American and with the motto ”LIBERTY” on top right. 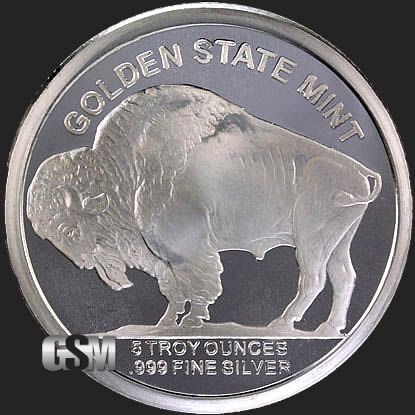 The reverse (back) of the rounds depicts a standing American bison (buffalo) atop a mound of dirt. 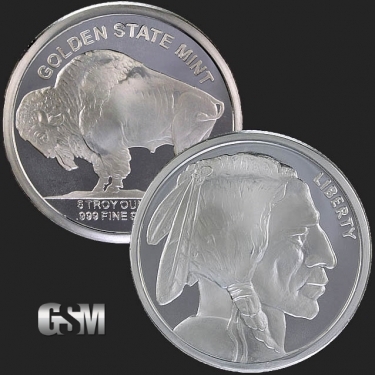 Supposedly, the bison was modeled after "Black Diamond" in the New York Central Park Zoo. 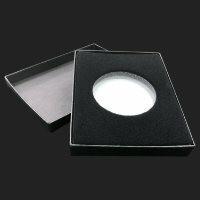 The rounds are hallmark stamped with their weight, purity and Golden State Mint and have a reeded edge. 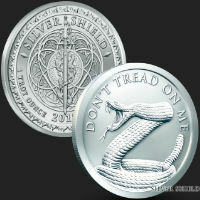 Since 1981, we've minted these rounds daily in silver due to their popularity! 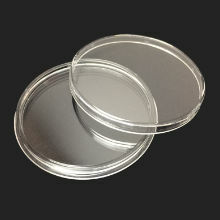 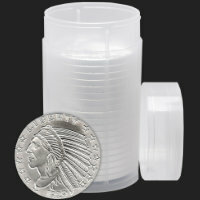 These lustrous rounds measure 64 mm in diameter and contain Five Troy Ounces of .999 Fine Silver. 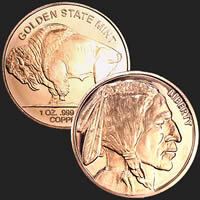 Golden State Mint offers mint fresh beautifully struck, five oz silver rounds packaged in our custom made tubes when purchased in increments of 20 pieces. These rounds are an excellent way to buy silver, are easily stacked and stored, and are perfect for investors and collectors alike.